I arrived in Sorrento quite late in the evening, and I was very much ready to sleep. My friend was suggesting dinner and I thought to myself, forgetting the country I was in, “sis, it’s almost 9 pm”. For the uninitiated, that’s when most Italians start getting ready to have dinner. I hadn’t yet researched where to eat in Sorrento so after a few Google searches revealed multiple Michelin starred restaurants in walking distance including one that will send a car for you on request, I was no longer sleepy. I was able to narrow down to L’Antica Trattoria because of this, this, and this. 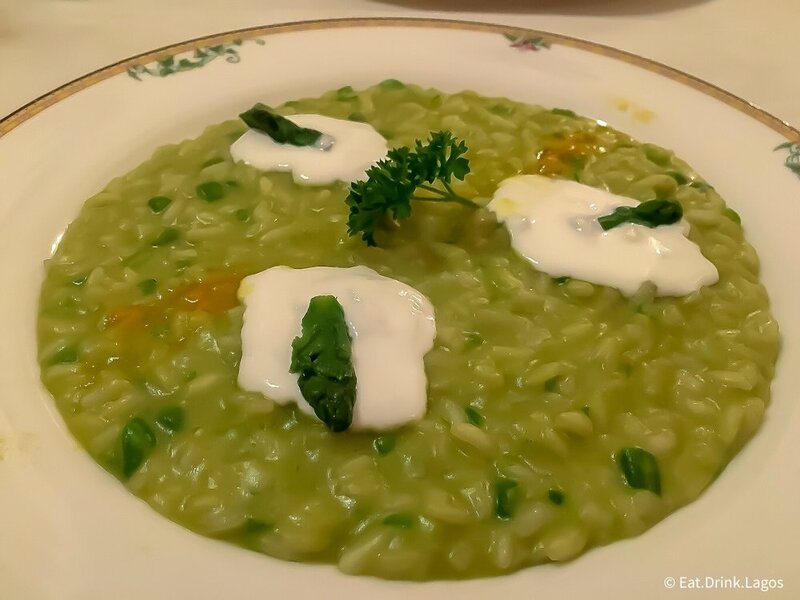 It’s not Michelin starred but it made the Michelin Guide list for Sorrento, the reviewers found it to be “fresh ingredients, capably prepared: simply a good meal”. If the Michelin Guide recommends it, I should probably oblige? Elite Traveller also talked up the restaurant’s atmosphere using words like “enchanting” and “dreamy” so I was sold. The doors of L’Antica Trattoria have been open for 89 years. It has been passed down for 3 generations in the family and it is by far the oldest restaurant I have ever dined at. I found the 50+ year old reviews, newspaper cut outs and recommendations from the Michelin inspectors, that decorated the walls to be charming. Well, I didn’t have the Concerto Tasting Menu because I was planning to splurge at Il Buco (two Michelin stars) the following day. L’Antica Trattoria offered a prix fixe option that allows you to choose 1 starter + 1 pasta dish + 1 main course and 1 dessert from the a la carte menu, so I did that. The spectacular service, fresh ingredients and an abundance of citrus notes throughout the menu stood out to me from my experience at L’Antica Trattoria. Fun fact, we had two waiters who bore the same name - Antonino. Sorrento is by the coast so I was pretty determined to design an experience that maximized my seafood options on the menu. My starter was the Grilled Octopus marinated with garlic and rosemary, and served with artichokes and potatoes. For my pasta selection, I went with the Risotto with asparagus and burrata, orange peel powder. My favourite course. The orange peel powder made this dish very fragrant. A slight warning (that I didn’t get) it’s much better when you stir the orange peel powder in with the entire plate of the risotto, else it was concentrated just at the sides and it made it was a very aggressive citrus taste just like that. My main course was the Sea Bass with fennel braised in Pernod, pink pepper, salmon eggs and almond wafer. The fennel was exactly what I’d expect from something cooked in high proof liquor. I ended with the Cialda alle due creme crispy cone with double lemon cream and fresh ruits. This was my second favourite course at L’Antica Trattoria. On another day, it’s would’ve been my favourite. I’ve generally found lemon to be an annoying fruit, it always appears when I don’t want it e.g lemon biscuits or lemon pound cake when I think both are just a simple vanilla. The dessert was a crispy cone with two kinds of lemon cream - a fluffier one that filled the cone and also held the fruit up, then the second was the lemon curd that was at the base of the dessert. Sorrento is known for its lemons and I gullibly believed our waiter who told me he picked the lemons being used this morning. He later confessed that they were a recent harvest but not done by him personally. On a final note, you can’t talk about L’Antica Trattoria without remembering the mandolin plays that serenades the guests. If he can figure out where you’re from he’ll play music from your country. He played a few American hits on his mandolin for the American ladies who were sat beside us. He either couldn’t figure that we were from Nigeria or didn’t know any Wizkid. Honestly, even if he had played Fela as his Nigerian flavour of the night - I would have been very impressed.